Their are a variety of funding options available for those wanting to begin or continue energy wise residential remodeling. For those re-investing resources from traditional savings with yields of only a few percent, Green House Flipping clearly makes Dollars and Sense. Others may choose refinancing or to open a line of credit for their renovation project. In any case, the rewards for energy wise residential investments can be substantial. This is particularly true for those following a well thought out plan, from purchase and remodel though the process of marketing and sales. Those with the foresight to remain flexible, increase their ability to maximize their earning potential. Current rates and terms vary with interest rates starting from 5-6 percent. Terms can be found to meet most investors needs, including interest only loans with little or no points and low closing costs. Where Do I Find the Money? Big Banks: Wells Fargo offers a “Renovation Loan” that is designed for our type of work. They loan 80% of After Repair Value (ARV) for non owner occupied and 90% for owner occupied. This loan is offered at their mortgage offices, not in the regular branches. It is at favorable rates but has some fees, appraisal, inspections, etc… This loan takes 30 to 45 days to process so offer accordingly. Hard Money Loans: “Hard Money Loans” aren’t as had to come by as they sound. It may be the perfect solution for getting started, when collateral is not available. True Hard Money doesn’t care about your credit or savings. The loan is made totally on the merit of the property and as such they will take the property if you don’t pay. Less paperwork and inspections are required. BookView Financial caters to renovators offering 15% interest at 4-5 points. Getting qualified is a good exercise for beginners. You want to graduate off of this type of funding ASAP. The prequalification letter is valuable for making offers. Private Money Joint Venture Investors: Joint venture capital for a portion of the profits. There are tens of thousands of people who have funds that are earning 2 to 4% or less. Risk – profits are usually 50-50 but you can negotiate agreeable terms. Collateralization can be through title of Grand Deed. Be careful to do the math ensure this is the right choice for you. Private Money Interest Only Investors: Rates are generally between 9-12%. Some lenders may want points. Investors security can again be in placing the property in the name of the the investor on title. Multiple investors can be cultivated allowing you to show without fundraising pressure. Investors keep their money available. You find the deal. They wire funds to the escrow company. You renovate and sell the project. They are paid their interest. You keep the profits. Commercial Credit Cards: Commercial credit cards usually have a ceiling of $50,000. You can get multiple accounts. It’s a good idea to have these in the background in case other sources dry up or don’t come through as planned. Google, “Commercial Credit Cards” or visit Cardratings.com. IRA’s and 401k’s: These accounts may be earning very low or even 0%. This money is not normally available for real estate investments but if certain custodians are selected, for “Self Directed IRA’s” the money can be invested in real estate. As with all investing it’s good to get professional advice. HELOC: With a Home Equity Line of Credit you only pay for the interest you use. Rates and terms can vary greatly. Credit Unions may be a good source. Getting Organized Part 2 Filing, Backups & Spreadsheet Tips Last week we took advantage of Dave's river cruising in Turkey to discuss some of the best tools in our time-task management tool box in regards to hardware, programs and apps for computers and portable devices (click here to view). 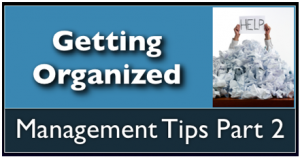 As Dave continues cruising his way to Vienna, tonight we'll continue the Getting Organized series focusing on filing, backups and spreadsheets: Filing: Neat Receipts (receipts and documents). Backups: On and off site backups. Best uses for Clouds, Photo-Bucket and Drop Box including uploading and sharing large files. Regarding Spreadsheets we'll be looking at creating tools for tracking...Continue Reading! Including “Wow” and “Energy-Efficient” Improvements on “foreclosed” homes can “increase” investor ROI’s. "Wow" and "Energy-Efficient" Improvements Improvements on "foreclosed" homes can "increase" investor ROI's Lipstick flippers are leaving profits on the table and missing a golden opportunity to leverage current bargains on foreclosed properties and the opportunity to improve the energy-efficiency and comfort for future homeowners and renters. Investors "typically" use all cash to acquire foreclosed homes and generally limit improvements to the minimum required to expedite a flip transaction to a subsequent owner. Annualized ROI's are based on the total amount of capital and the time required to complete the "flip" transaction. The lower the cost and the shorter the completion cycle the higher the ROI. Dave Robinson and Green Earth Equities have created a better mouse trap and Investors are beginning to...Continue Reading! The SAVE Act Gathers Broad-based Support In today's heated Washington, DC environment, it's not often that groups like the Center for American Progress and the Chamber of Commerce are on the same page. But that's what is happening with the "SAVE" Act (Sensible Accounting to Value Energy), which could be a key long-term driver of growth in energy efficiency retrofits. The bill would mandate federal loan agencies to take into account projected energy costs when financing home loans. Efficiency First is part of a large coalition in support of the bill. 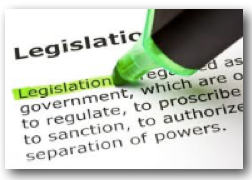 The “Sensible Accounting to Value Energy Act,” or SAVE Act, which is...Continue Reading! Financing The Green Dream: Creativity Required. Let's say, for example, that you are concerned about Climate Change, Peak Oil, Resource Conservation, and buying less from people who are convinced that America is The Great Satan ... All of that. And with the arrival of your second child, the apartment just isn't working anymore ... It's time to buy your first home. Here's how that might sound You: I'm pre qualified, I found a Realtor & it's time to go shopping. I'm hoping to find it all, More space for the kids, A modern kitchen, and Energy Efficiency to help the planet - and my Utility...Continue Reading! When's the best time to sell your Green Renovation? ASAP of course. I was surprised when i counted them up, We've sold 6 of our first 12 Green Renovations before they were finished. (The project on Scott Avenue that we've been talking about & showing on the Tuesday Webinars has been sold during the whole process.) These pre-sales have been a real blessing ... But now we're moving to the next level ... Selling them before we even buy them. We are prototyping the process right now and of course we share everything we learn right here...Continue Reading! Energy Programs: What’s Next? What’s Best? What Would You Recommend? As you know, the methods used here at GreenEarthEquities, require no government funding, stimulus or otherwise, no utility programs, and no tax breaks to operate profitably. So I haven't paid much attention to those programs as they have been developing. But last week I heard two comments that caught my attention: One came from a program manager who said, "You've heard of money with strings attached? This money doesn't have strings, It has iron re-bar and concrete controls attached...." Wow! What can you say about that? Probably the result of consultancy and bureaucracy gone wild? Definitely didn't make me...Continue Reading! Energy Incentive Money… How Would YOU spend it? As you know, there is a flood of Federal Money descending on cities everywhere and very few are equipped to WISELY go out and spend all that money. Unfortunately, a lot of what gets cobbled together will be the result of who had the best salesman or lobbyist, or simply who got there first. Like Von Bismark is reported to have said, "to retain respect for sausages and laws, one must not watch them in the making." I just learned of one such program being offered in Sacramento, The Vacant Properties Program, which uses Neighborhood Stabilization Funding. The program: Targets...Continue Reading!